Roundup camp, 1907, Bates Creek, Wyoming. Photo by Oscar Hoback. 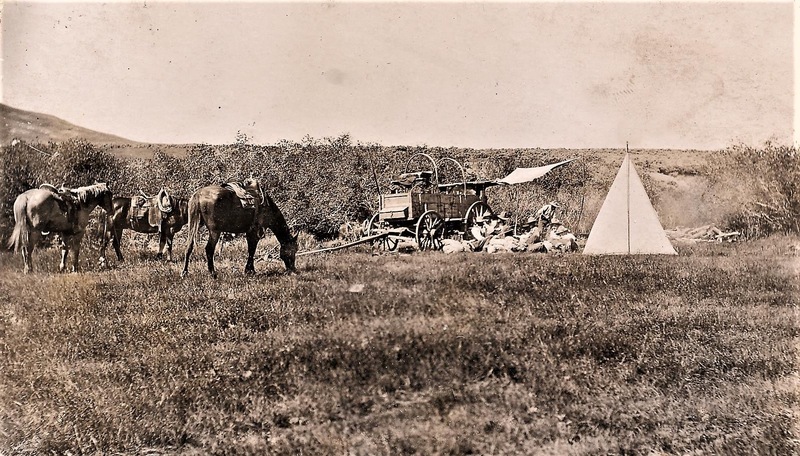 Notice the cowboys at rest under the canvas taken off the wagon. Thanks for sharing, Oscar was my Great Grandfather. Would love to see other images he may have taken. Cool! I love the early photos too.